All but a handful of U.S. troops have left Iraq, but the mission to train the Iraqi military is continuing in Tucson, Ariz., where Iraqis will learn how to fly F-16s. Saddam Hussein’s once formidable air force was obliterated in the course of two wars against the United States. Those fighters that were not destroyed were either buried in sand and thus made inoperable or sent to Iran and Serbia. Now Iraq plans to purchase 18 F-16 fighters so that it can protect its own airspace, which had been controlled by the U.S. military for most of the latest Iraq war. The first of the Iraqi pilots that will learn how to fly F-16s recently arrived in Tucson with the 162nd Fighter Wing, an Air National Guard unit that specializes in training foreign pilots to fly F-16s, said wing spokesman Maj. Gabe Johnson. The Iraqi pilot is slated to start the academic part of his training on Jan. 23 followed by hands-on flying from February through September, Johnson said. In December, President Barack Obama said the United States would continue to work with Iraq to stand up that country’s air force. “We’ve got to train their pilots and make sure that they’re up and running and that we have an effective Iraqi air force,” he said. The may complicate matters for Israel if it decides to bomb Iranian nuclear sites. 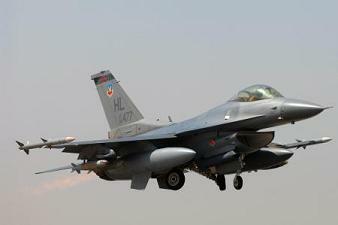 Iraq is closely aligned with Iran, and the F-16s could allow Iraqi pilots to intercept an Israeli airstrike on Iran. That’s kind of a bold statement…and exactly what information are you basing this on?